Highways England showcases pioneering technology that allows vehicles and the roads to talk to each other to improve safety. Highways England, the Department for Transport, Kent County Council and Transport for London have recently showcased a pioneering technology that allows vehicles and the roads to talk to each other. The project on sections of the A2 and M2 uses a wireless network to test how information about road conditions and road works can be used to improve traffic flow and safety. Connecting vehicles to each other and the road around can improve journeys, make them safer and give drivers reliable, real-time personalised information; it could also help us manage traffic and respond to incidents. We’re supporting the Government’s aim to be world leading in the development of connected and autonomous vehicles (CAV). The TESTFEST is a vital part of that, because it means the initiatives we take forward and the vehicles being developed all align so drivers continue to have safe journeys in the future. These first live tests of connecting vehicles to our road systems and infrastructure have been an exciting opportunity for us to explore the possibilities for the future. It’s only through these events that we can understand the opportunities, risks and challenges that we face in operating transport networks in the coming years. 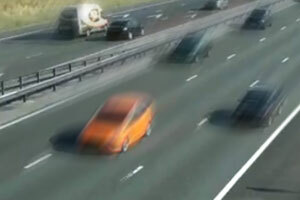 Working closely with Highways England, Kent County Council and the Department for Transport on the A2/M2 connected corridor project means we can understand the potential ‎benefits of this technology for both road users and Transport for London.